Photo credit: Jeff Jones of the Community Service Society. DATELINE: CUNY–The news from the William and Anita Newman Vertical Conference Center at Baruch College was bleak. 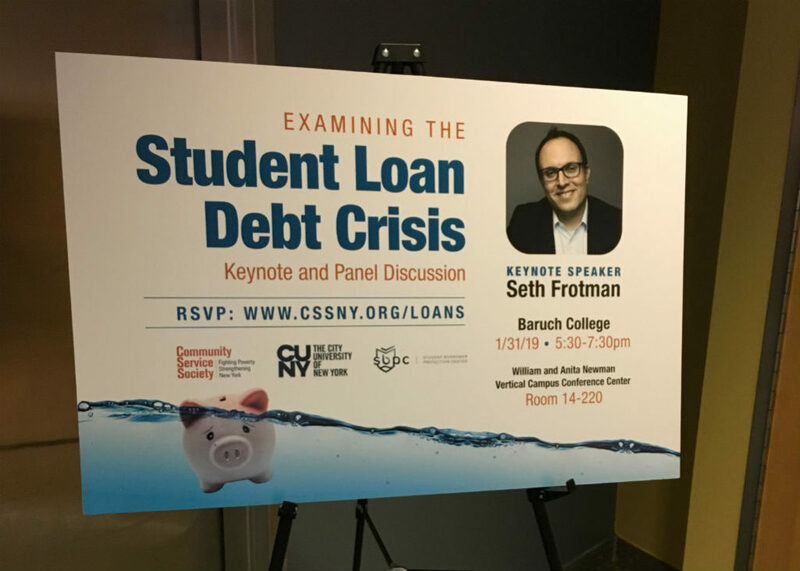 “Every 28 seconds another student loan borrower defaults on their loan,” Seth Frotman told the room of CUNY faculty and students. As the former student loan ombudsman for the Consumer Financial Protection Bureau, Frotman frequently testifies and lectures across the country about the effects of student debt on individuals and communities to encourage a change in the student loan process. “I have heard, firsthand, the horror stories of how student debt wrecks lives,” said Frotman, who created and runs the Student Borrower Protection Center, which helps protect student loan borrowers from lenders that abuse their power. 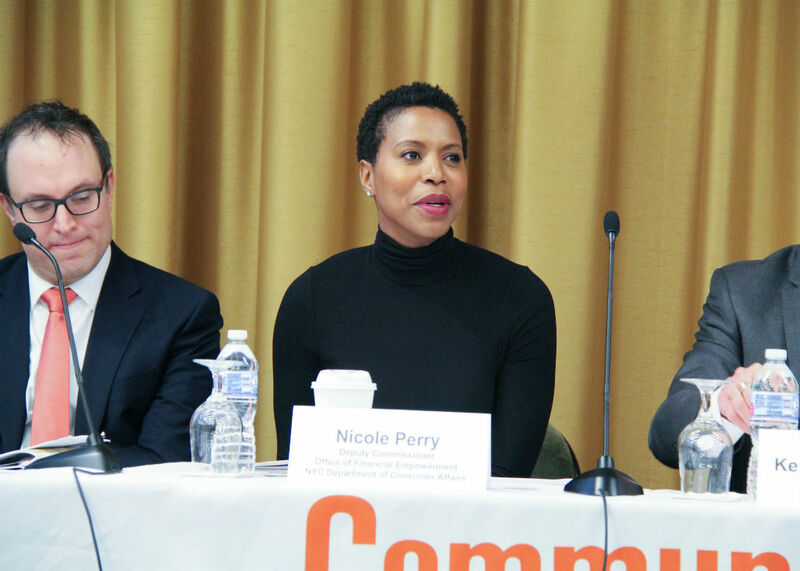 Frotman and others spoke to a packed room of over 200 people as part of a panel hosted by the Community Service Society of New York last week and moderated by New York Times reporter Tara Siegel Bernard. 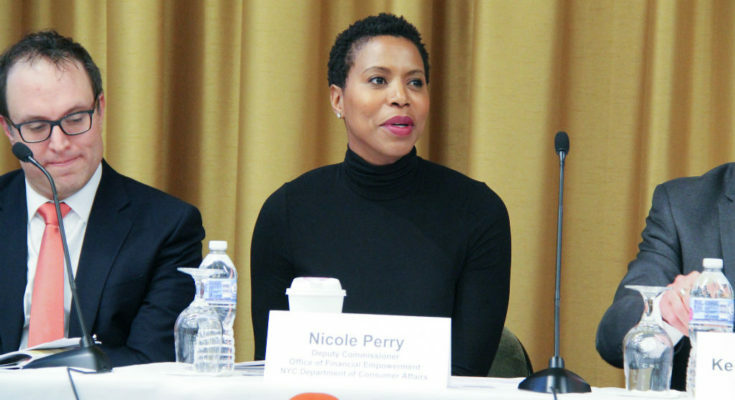 Borrowers who go into default on their student loans come from lower income neighborhoods, according to Nicole Perry, deputy commissioner, Office of Financial Empowerment at the NYC Department of Consumer Affairs. “Twenty percent of borrowers in the lowest income neighborhoods were either delinquent or in default on their student loans, versus 8 percent in the highest income neighborhoods,” she said. The problem, the panelists agree, is how lenders lure students seeking better lives to take out large loans that they ultimately cannot pay back. “Middle income African American and Latino communities are the ones who are hit hardest by student loan delinquency. It’s those people who are trying to climb to the middle class that are basically being fed this idea that higher education is the promise to unlocking the pathway to the middle class,” said graduate student at the MIT Department of Urban Planning and Studies, Kavya Vaghul. One proposed solution from Community Service Society is the creation of a state-wide Student Loan Consumer Assistance Program (SLCAP) to serve student loan borrowers on a case-by-case basis with a helpline and a number of professionals on hand to answer questions. “The program would provide unbiased information, direct personalized assistance, and where needed, legal assistance to individuals struggling with student debt,” David Jones, the president of CSS testified at state-level Higher Education Budget Hearing. 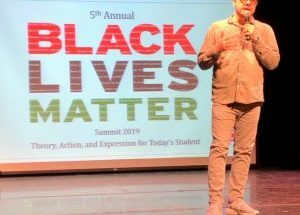 The SLCAP requested $1 million from the New York State legislature to initially fund the organization. Audience members asked questions and shared personal stories of how student loan debt has hindered their ability to attend college and affected their lives after graduation. 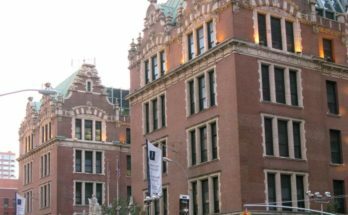 “It’s very hard to navigate the financial aid system, especially here,” said one participant, a Baruch College student who grew up in youth shelters. Students with college debt are less likely to get advanced degrees, pursue careers they actually want, buy homes, get married and start families, according to Frotman. Funding legal services to cover defaulted student loan debt court cases was also an issue that came up from the panelists. 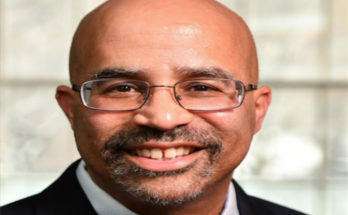 “Ninety-nine percent of litigants sued over consumer debt do not have an attorney,” said New York State 6th District Senator-Elect, Kevin Thomas. Although the panelists did not discuss, at length, the root causes or solutions for the high cost of a college degree, they did agree that the federal government has reneged on its support for students. Student loan debt “is not a necessary evil. There is a generational reckoning coming — both to Congress and to Statehouses,” said Frotman.